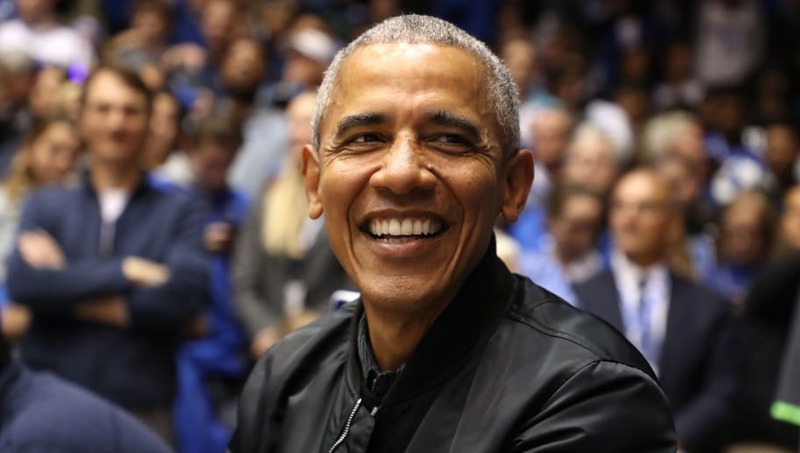 It's no secret that former U.S. President Barack Obama is quite the college basketball fan, as the 44th President of the United States made filling out a Presidential bracket an annual tradition during his eight years in office. Most of those who followed Obama's bracketology sessions are likely well aware that his allegiances lie with the North Carolina Tar Heels – the No. 1 seed in the Midwest Region of this year's ​NCAA Tournament bracket. However, it looks like President Obama simply couldn't resist going with UNC's archrival in this year's tournament. But it's not only his Duke prediction for National Champion that's surprising when it comes to his 2019 bracket, as he also picked the No. 12-seed New Mexico State Aggies to make an appearance in the Sweet 16. The Aggies and Auburn Tigers have arguably staked an early claim for the most exciting first-round matchup of the tournament, as New Mexico State came within one shot of knocking off No. 5-seed Auburn in a thrilling, 78-77, finish. He also has another No. 12 seed, the Oregon Ducks, going on a run to the Sweet 16 with wins over No. 5-seed Wisconsin and No. 13-seed UC Irvine. His Final Four includes his UNC Tar Heels and two No. 2 seeds with Michigan coming out of the West Region and Tennessee in the South, along with Duke. President Obama is off to a rough start following New Mexico State's loss, but there's plenty of time and madness left in this year's March Madness bracket.